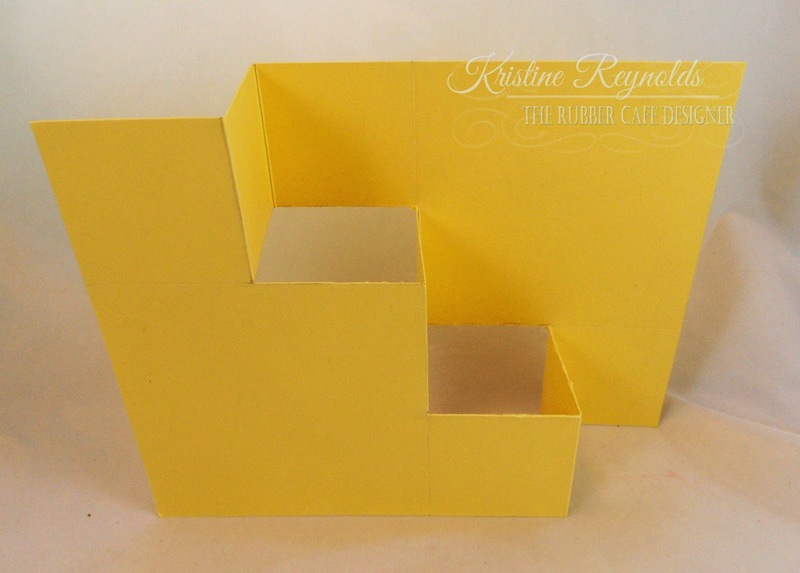 The Rubber Cafe Design Team Blog: Another Fabulous Fun Fold Card! Hi There! 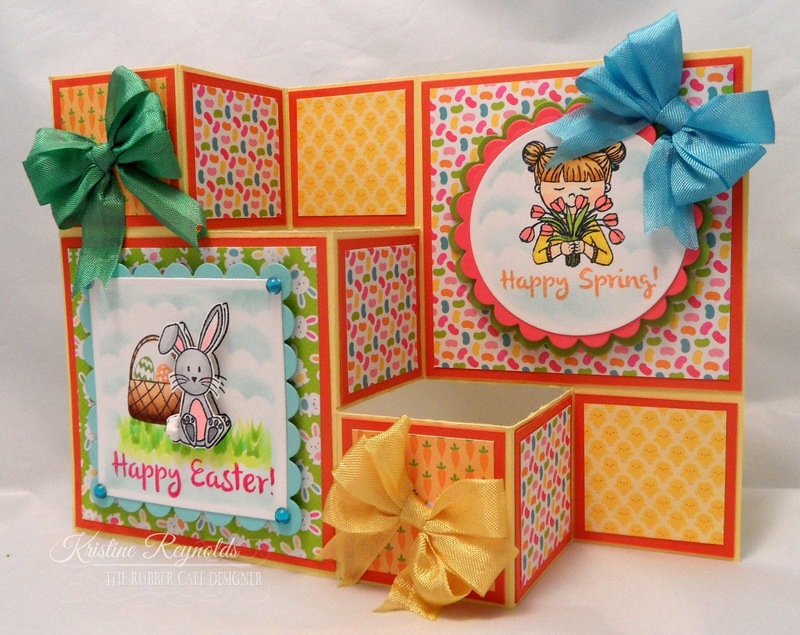 Kristine here today with another Fun Fold card that I made with the April Creative Cafe' Kit of the month. I originally saw this design on a friends blog and contacted her for the measurements so I could share them with you! 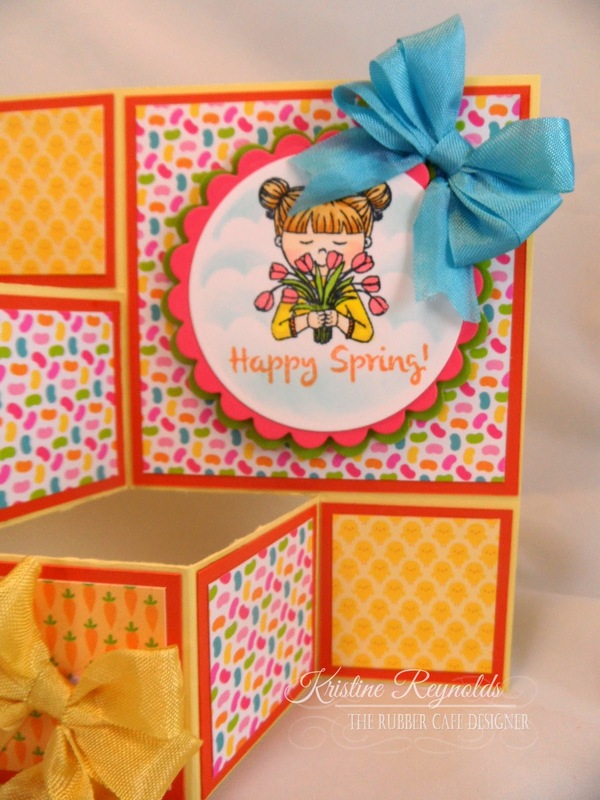 This bright fun card is perfect for today! 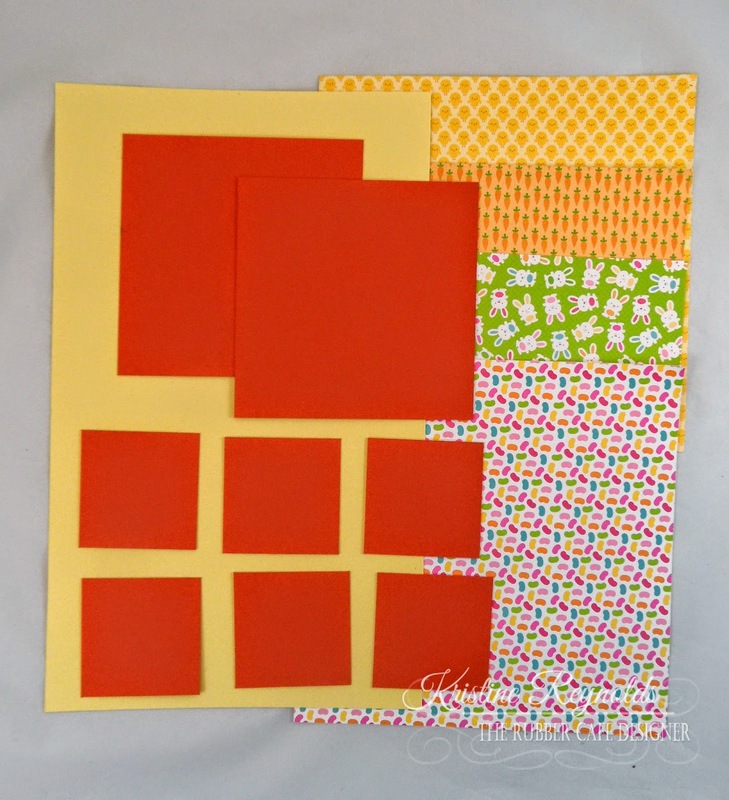 Yellow cardstock cut to 10" x 6"
patterned paper of your choice. 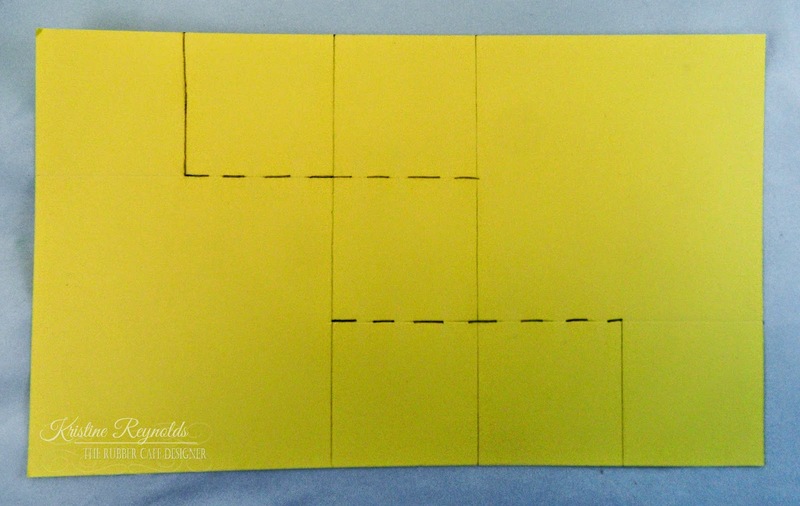 To create the card base score on the solid lines and cut on the dotted lines. all the little squares are 2". After cutting and scoring you should be able to fold the panel into the card base like this. 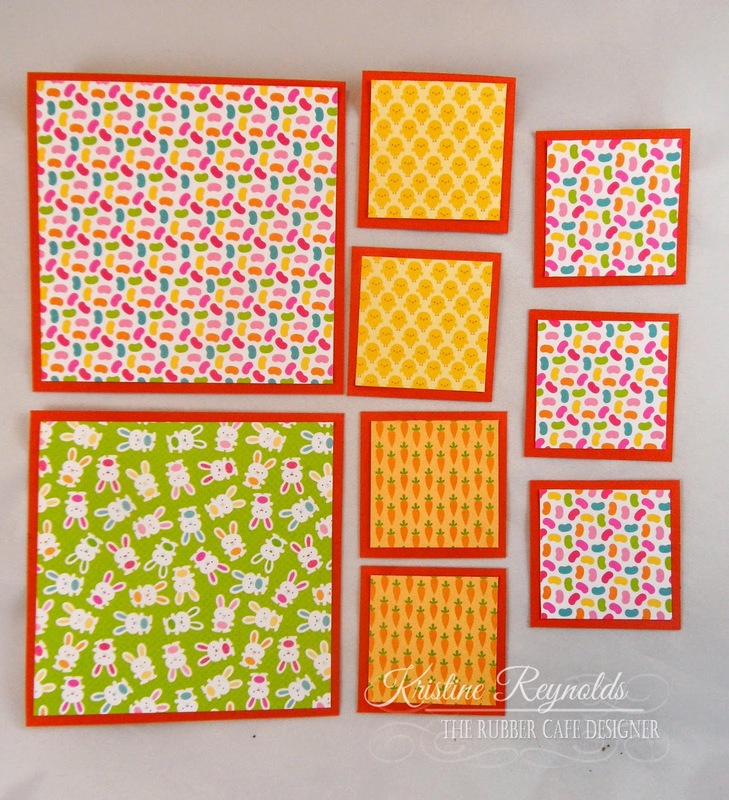 Cut your patterned paper pieces slightly smaller that the orange panels (approximately 1 3/4" squares for the small panels and approximately 3 3/4" square for the larger squares. Adhere with Scrap Happy Glue. 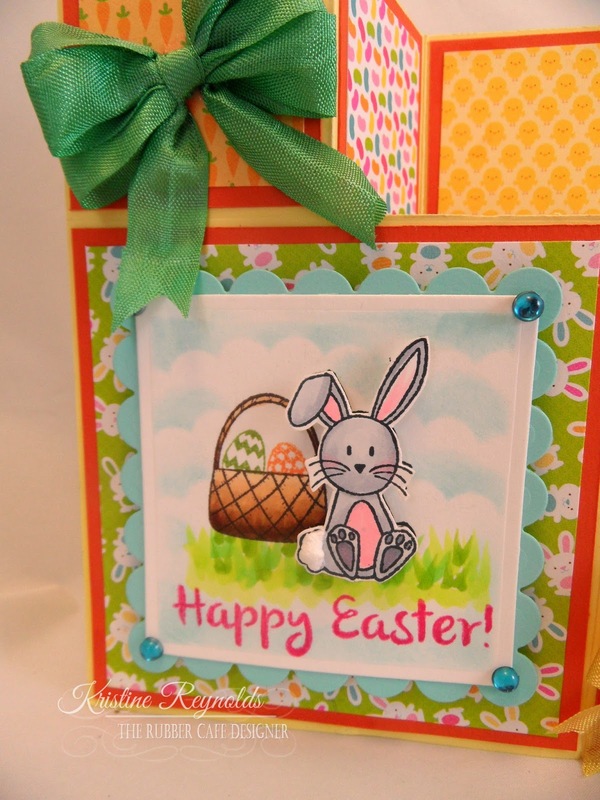 Adhere the panels to the card with Scrap Happy Glue. Here is a look at the round panel. I die cut a scallop circle panel from green cardstock and a slightly smaller scallop edge circle panel from the coral cardstock and adhered them with 3D Foam Squares. I stamped the girl and sentiment and colored with copic markers. The triple bow was created with the Zutter Bow-it-all. The Zutter Bow-it-all is a tool I didn't know I needed until I had it. 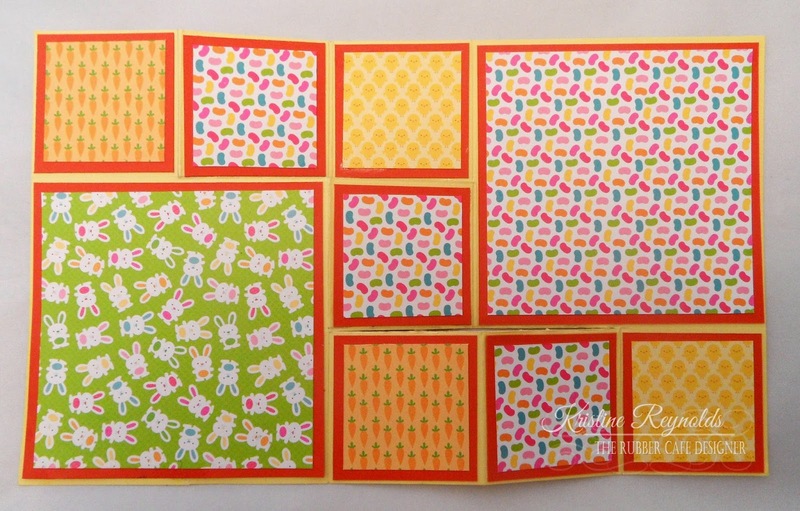 Now it sits on my craft table at all times and I use it on nearly every card I make! Here's a close up of the other panel. 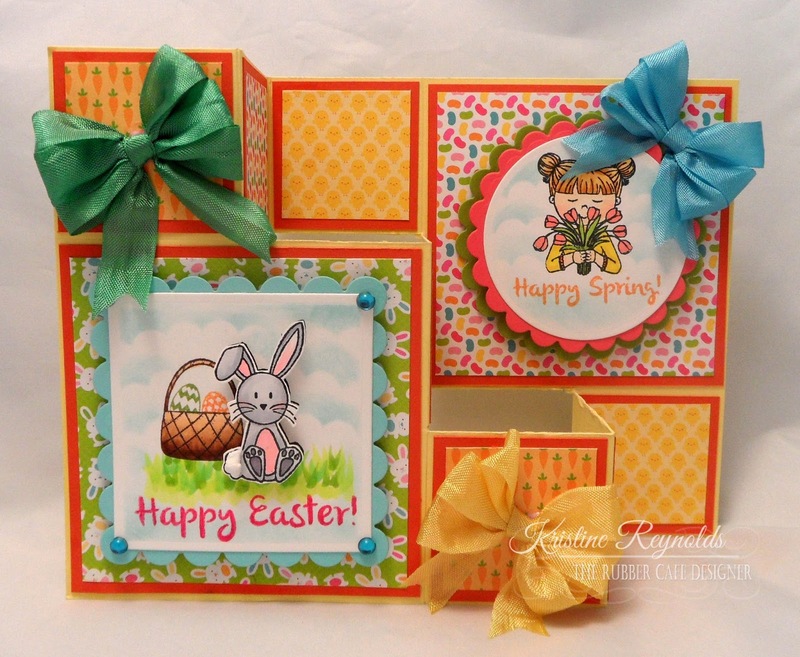 I used the square Spellbinders die and the square scallop die. The bunnies tail has a dollop of White Puffies on it and I fussy cut him out and adhered him to the panel with 3D Foam Squares. I added a gem on each corner of the panel too! One more bow with the yellow ribbon and you're done! I hope you enjoyed today's card and will give it a try. It's easier than it looks and so very cool when it's complete!